Odonnell Associates Southwest and OAS de México comprise the leading manufacturer’s representatives in the Southwestern USA and all of México. Our objective is to be the leader in marketing high tech, engineering-oriented components. Our technical Sales team of 20 includes 6 who are Electrical Engineers, and 6 other degreed sales personnel, several of whom are multi-lingual. OAS employees have many years of expertise in their respective markets. Our team benefits from regular training with the latest, most up-to-date product knowledge. This differentiation from the competition allows us to support our customer from a very in-depth design approach. 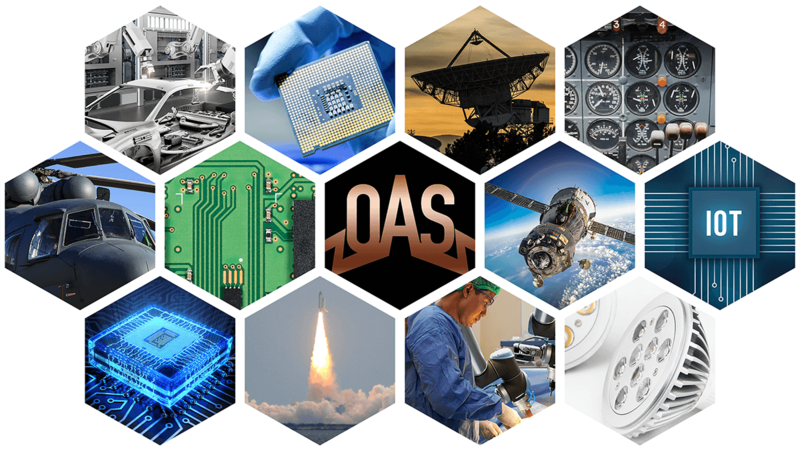 Contact us today and find out why OAS is the unparalleled leader in the Manufacturer’s Representative business in the Southwestern USA & México. Odonnell Associates Southwest & OAS de México. Unparalleled.